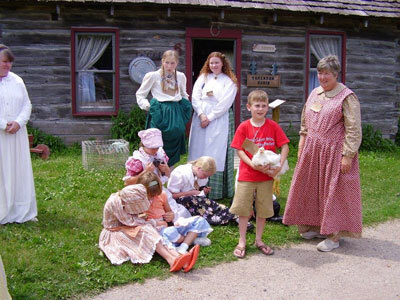 Come and experience the daily life of a pioneer farm child. 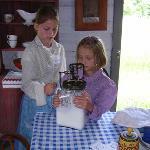 Dress the part, with bonnets and aprons for the girls, vests and hats for the boys. 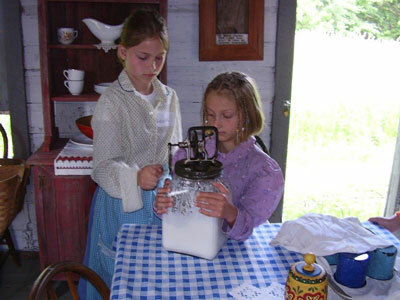 Do chores, bake bread, churn butter, cook over a woodstove. 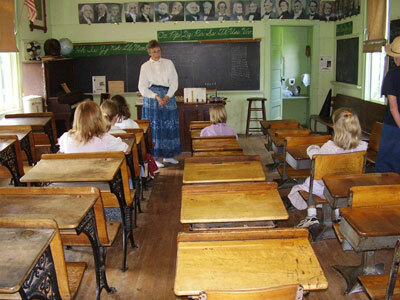 Attend school in an authentic one room school house. Play games and make crafts. Children please bring a bag lunch. Ages 6-13. June 27 9 a.m. - 3 p.m. August 1 9 a.m. - 3 p.m.
July 11 9 a.m. - 3 p.m. August 8 9 a.m. - 3 p.m.
July 18 9 a.m. - 3 p.m. August 15 9 a.m. - 3 p.m.
For the summer of 2018 our Day Camp Director/Facilitator is in need of volunteers. 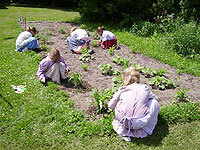 If you like working with children then you are sure to enjoy the various camp activities. 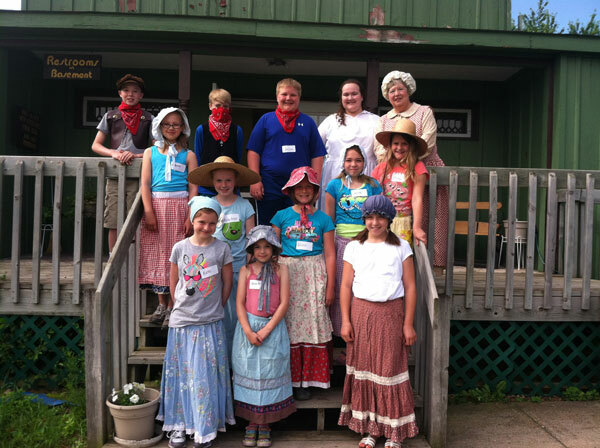 To volunteer call 320 274 7155 for a schedule of our day camp dates and activities.